A text describing the relationship between the struggles and ideas of the workers of the Porto Marghera chemical plant in Italy, along with the group Potere Operaio which they were closely linked to, and the ex-student activists in West Germany who tried to learn from the Italian example and develop similar workers' initiatives in their own part of Europe. This text recently appeared in French in the recently published book Pouvoir ouvrier à Porto Marghera - Du Comité d’usine à l’Assemblée de territoire (Vénétie – 1960-80) [“Workers’ Power in Porto Marghera – from the Factory Committee to the Territorial Assembly (Venetia – 1960-80)”], Les nuits rouges, 2012. Therefore, this version has a somewhat long translation history: German to Italian to French to English! However, thanks to a German-speaking comrade, the English version has (I hope) been dragged firmly back into line with the German original (more or less). it clearly puts forward the question of the relationship between "internals" (workers directly involved in struggle for their immediate needs at the point of production) and "externals" (activists attempting to strengthen and broaden the workers' struggle from outside the immediate site of conflict), and attempts to show how this question was dealt with in practice. In Germany we learnt about the workers autonomy of Porto Marghera for the first time towards the end of 1970. We were a group of young teachers, doctors, engineers, doc­tors of law, students of natural sciences, psychologists, sociologists and historians who had participated in the student movement of the 1960s and now found ourselves at the beginning of our various professional careers. But we had only participated in student strikes and occupied the university. We had also read Marx — above all the Gründrisse and the preliminary manuscripts of Capital — and we wanted to continue the struggle. But we didn’t want to find ourselves amongst those that Marx described as individuals disappointed from “sowing dragons and reaping flees”. We wanted to reconnect the revolutionary subjec­tivity of the “anti-authoritarians” with the present reality of class composition. This decision meant taking a distance, after intense internal arguments, from the two dominant tendencies coming out of the New Left. In the first place, we took a position against the cadres of the national liberation movements who returned to their countries of origin straight after getting their degrees, and in whom we could glimpse the future elites of development. In addition, we opposed ourselves to the return of various fractions of orthodox Marxism-Leninism, a burlesque repetition in the history of the workers’ movement. In the beginning we were only about 50 people, of which almost half were women. Later on there were three times as many of us. We were militants who acted within the autonomen scene in West Germany and in West Berlin and who, as “Operaisten” in the network of “Wir wollen Alles” (“We want everything”)1 groups, gave the scene a particular shape. We started from ourselves as the points of subjective reference of a new mediation between practice and theory, in our quality as highly qualified segments of the new class composition in formation, that of the third phase of the real subsumption of labour power (Arbeitsvermögen) under capitalist command, in the stage of transition brought in by the appearance of computers. We had already contributed to the extension of student struggles to the colleges for engineers and technicians and we had had the experience, during the strikes of September 1969, of a new alliance between worker-technicians of the German steel industry and unskilled workers migrated from various other countries, in the mining industry and manufacturing sector, which was opposed to the trade union policy of social partnership. How could these different segments of the class in effervescence be homogenised in the long term? The decisive means for achieving this result was something we saw in the opening up of wage struggles: it was necessary to invert the direction of orientation — downwards — of the relative wage to turn it against the capitalist cycle. The equalisation of wage incomes of all levels of professional qualification had to subsequently follow a new process of class formation. This process had to be accompanied, according to the model of base democracy, by a self-organisa­tion of the class in which our own organisational initiative — the Proletarische Front (PF) — would finally be dissolved. This was the stage of our debate when some Italo-German historians who worked with us — Germans who’d studied in Italy and Italians who’d studied in Germany — attracted our attention to Potere Operaio. What immediately fascinated us about Potere Ope­raio was the concomitance between the conceptual approach and the practical approach: the political wage was conceived in a much more systematic manner than the struggle against the fall in the relative wage that we proposed to homogenise the struggles against capitalist command. We had also understood quickly enough that the workers of Porto Marghera were the principal concrete point of reference of Potere Operaio within the working class. It was above all a question of the worker-techni­cians of Petrolchimico and of Châtillon, in other words of an industrial sector typical of the path of the third stage of the real subsumption of labour power, a stage characterised by the growing integration of science in the process of production. In the years that followed, a close collaboration developed between Potere Operaio and ourselves. In addition to the numerous personal contacts the collaboration was coor­dinated by the international bureau of Potere Operaio in Zurich. Above all it had the objective of homogenising the struggles of the multinational mass worker, starting from the European auto industry, which seemed to us to be an indispensable point of reference for the cycles of struggles in the lower seg­ments of the class, the immigrant workers from the South and the South East of Europe, proletarians of the lowest wage categories, young people and German apprentices. The cycles of struggle were subsequently crushed in West Germany at the end of August 1973, by the coordinated action of the management, the works councils, the unions and the police. In terms of political strategy we looked beyond these segments of the class and their struggle. The worker-technicians of the highly scientific sectors of capital — chemicals, metalworking, transport network, the capital goods industry and the then nascent computer industry — along with the intellectual labourers in the factories of education and science, always constituted a decisive point of reference for us. This point of reference was linked to our day-to-day engagement in the struggles of the multinational mass worker by means of the political wage. For this reason we followed the events in Porto Marghera between the end of 1970 and the beginning of 1971 with close attention. We kept ourselves informed thanks to several channels of communication. In the Potere Operaio monthly journal and their weekly publication, we could read about the programmatic position taken and the reports of the Workers’ Committee and, starting from the end of 1972, of the Autonomous Assembly. The externals of the first few years, who were then active in Padua and Milan, reported to us on the development of the Workers’ Committee since its foundation in 1967. A militant of Potere Operaio who was active between Trieste and Porto Marghera, and who had studied with us in Hamburg, informed us about the split between the internals and externals, starting in 1972, but he also told us how they had succeeded in maintaining a level of effective cooperation. Then Porto Marghera presented itself to us, little by little, as an exceptional laboratory of northern Italian workers autonomy. It was a laboratory which completed, in certain important aspects, the experiences of the mass workers of Turin and Milan, even if it was not perceived that way in Italy or outside. We studied the dynamic and the extension of the struggles of those years: the success obtained in 1968 with the slogan of 5,000 liras for everyone; the other slogan, coming from Châtillon the year after, of the reduction of the hours of work with the wage maintained; the struggle against outsourcing by subcontractors and for the integration of casual workers in July 1970 (which culminated on the first of August in a regional revolt); the growing importance of the struggle against the most unhealthy conditions of work in the factories, against the devastating effects of chemical production for the workers and the envi­ronment; the strategic importance of rejecting the new collective agreement in the chemical industry at the end of 1972; and finally the progression of struggles on a territorial level — squatting houses, rent strikes, self-reduction of electricity and gas bills, up to the creation of neighbourhood and self-reduction committees. We were interested even more in the question of knowing how to translate the experiences and the learning processes into structures of self-organisation which excluded all delegation of res­ponsibility (and thereby the appearance of a bureaucratic layer of function) along with any step backwards by the unions. We were very conscious of the fact that struggles had to be organised in a race against the growing attempts at restructuration and against the unions which lagged behind the struggles. It is for this reason that the attempts made by the Workers’ Committee of Porto Marghera to centralise the organisational structures, but in a manner which did not permit the appearance of a new intermediate body of mediators and political leaders, seemed perfectly coherent to us. The fact that these attempts did not all succeed and that strong ten­sions existed between the internals and externals during this period was something that did not escape our notice. The Political Committees particularly promoted by Augusto Finzi in 1971 turned out to be a failure. They were not capable of preventing the dissociation between workers’ autonomy and the groups of the radi­cal left. We therefore considered the founding of the Autonomous Assembly of Porto Marghera, after the rejection of the collective agreement in the chemical industry at the end of 1972, as a logical step in that direction. We equally appreciated the subsequent efforts to put in place a regional workers’ coordination, a project which influenced attempts at creating a European association of multinational mass workers in 1973. To sum up, we were relatively well informed on the development of the laboratory of workers’ autonomy born from the coordination of the Workers’ Committee of Industrial Zone I of Porto Marghera. We were impressed by the subjective integrity of the worker avant-gardes, which was deeply politically rooted. The militants of the Workers’ Committee were not driven by personal interests – they did not want to become the inheritors of the traditional worker bureaucracies. They preferred to refuse any lasting delegation of responsibility and were always looking for ways which allowed the reinforcement of the self-activity and self-responsibility of all those who belonged to the class. On average, they were more likely to belong to the category of skilled workers, but they were not motivated by their own sectional interests. They involved themselves exclu­sively in gaining the sort of material improvements which held out the prospect of homogenising different groups of workers in the form of the collective worker. The material improvements therefore benefited first of all the unskilled peasant-workers and casualised workers. For the militants of the Workers’ Committee, these two prin­ciples were more important than any other consideration. This is why their call to overthrow the command of capital — a task which had to be carried out by the class of workers who stepped outside of this command — was not only justified but also credible. As externals — in the double sense of the word — our way of seeing the militants inside Porto Marghera was therefore one filled with ad­miration. But we also did justice to the externals, with which they kept their distance in the course of 1972, but without cooperation ceasing. Today it’s fashionable to harshly criticise the externals. I do not want to give in to this fashion, and for three reasons. In the first place, the years 1973-1974 were really marked by a capitalist/trade union counter-attack, and it was, to say the least, understandable that the externals insisted on “harder” action, an option which lacked a basis in the real development of workers’ autonomy. Was it an unsolvable problem, one of those inevitable errors, which we might be able to see but nevertheless not be able to avoid? In the second place, the externals in Porto Marghera, the only ones with which we were durably in contact, always spoke to us openly. They never hid from us the criticisms that the internals expressed towards their own impatience: they also were honest. And in the third place, which was the decisive element, there was a great lack of informa­tion. We knew nothing at the time about the incubation phase of workers’ autonomy in Porto Marghera, a phase which began at the beginning of the 1960s and concluded with the formation of the Workers’ Committee in 1967. Yet, without this phase of inquiry and conricerca [“co-research”] in which workers and intellectuals collaborated, the southern peasant-workers and the worker-technicians of Industrial Zone I of Porto Marghera would probably never have been catapulted, in such an exemplary manner, into the start of the global revolutionary movement of 1967-1973. We’ll take account of the importance of this phase of incubation, workers inquiry and conricerca, when I talk later on about our efforts to develop workers’ autonomy in West Germany. The perception of the expe­riences of Porto Marghera, and the reflection which they gave rise to, played a very important role in the initiatives taken by the Proletarische Front. In this context the programmatic declaration of the Workers’ Committee of Porto Marghera on the refusal of work in 1970 proved to be particularly important. We became aware of it in the autumn of 1971, when it was distributed as a discussion document for the third congress of Potere Operaio. Taking notice of this declaration could certainly not take the place of the phase of inquiry and conricerca. From the beginning of the social revolt in West Germany, that is to say starting in 1965-1966, many of us had got to know the world of workplaces in the course of work experience in the factories as part of our education. We made contact with the young workers and with the immigrant workers. But in no case did this lead to a collaboration comparable in its systematic character and seriousness to the approach of Quaderni rossi or, after 1963, of Classa operaia as the external (to the workers) component which was inseparable from conricerca. In the years 1971 to 1974 we felt the lack of this preceding incubation phase. There were no practically and conceptually mature internals who could have made themselves independent from us in the same way as Augusto Finzi, Germano Mariti, Bruno Massa, the brothers Gianni and Italo Sbrogiô or the other militants of the Workers’ Committee, to go towards workers’ autonomy. These worker political militants, as Toni Negri called them during the October meeting2, did not exist where we were, and it wasn’t possible to invent them out of nothing. We had nevertheless tried to do it — and we had failed. I would like to illustrate this setback by three examples, clearly, without any underestimation a posteriori of our little intervention group. The first example is that of a workers’ inquiry which we began — with the help, among others, of a mili­tant of Potere Operaio who had been sent to us — at Volkswagen Hanover, a factory producing vans. The result of this inquiry was absolutely demoralising. In 1959, following a wildcat strike, more than a hundred militant workers were sacked with the active participation of the Betriebsrat (works council) and the union. The employees — of 25,000 workers, 3,000 were women and 5,000 were first generation immigrants — were then passed over to the control of a social-democratic Betriebsrat supported by the management by means of extra wage payments in addition to the wage paid according to the general sectorial collective contract. The prin­cipal enemy of this Betriebsrat was constituted by the multinational mass workers, the women and the young people who worked on the seven assembly lines. They practised a silent and informal resistance, reaching the levels of resistance of the Italian and French auto workers, thanks to their absenteeism and mobility. There were some forms of open self-organisation, but they were suppressed in a Draconian fashion. The productivity of labour was in free fall, and that is the reason that the Betriebsrat came to take the initiative of imposing the arrival of the first homogenous teams on the assembly lines, offering higher wages as an incentive to join them. It would have been certainly worth the effort of pursuing and deepening the inquiry. But how many years would we have had to do it before there appeared from the conricerca a new group of militant workers who had found the key for transforming silent workers’ resistance into declared revolt for antagonistic self-organisation? I will talk more briefly about my second example. From the beginning of our inquiry we had met up with a group of avant-garde workers already equipped with a certain amount of experience. They had already analysed the labour process and zones of conflict in their metalworking enterprise and they therefore knew exactly in which place to stop production in the manner which is the most effective to obtain increases in wages and a reduction in working time. The worker-technicians of the Klôckner works in Bremen were already known for their mili­tancy during the strikes of September 1969. They were happy to collaborate with us. They made use of our external support when they considered it as sensible and they noticed with a certain interest the existence of a neo­-Marxist approach which provided a certain argued legitimacy to their desire to cause serious and lasting harm to the company. Up until the end of the strikes in the summer of 1973, they had succeeded fairly well in escaping the control of the union, by having brought under their control the company shop-steward body of IG Metall. But they did not want to definitively break with the union by creating an Autonomous Workers’ Committee. Finally, their affiliation to the Gruppe Arbeiterpolitik, a successor to the KPD (Opposition)3, which went back several decades, proved itself to be stronger than our Operaist offer. On this point, there was nothing to do, even though we had already known them very well since 1969, the year which was the peak of a campaign against the raising of prices of public transport. exercise over this important network, which published the journal Wir wollen Alles from the spring of 1973. We remained a foreign body inside this plurinational counter-culture, whose members differed from us “North German ascetics” who had very little free time, by knowing how to live and how to party well. We exercised no influence over the most strategic choices like those made in spring 1973, when they decided to dissolve their workplace intervention groups and to focus fully on the housing struggle. We protested vigorously against the decision to step back at that particular moment, when a new wave of multinational mass strikes was imminent — the last in the cycle of struggles in West Germany from 1969 to 1973. But we were not able to impose our position. The consequence of these impasses in our political practice was that our conceptual approaches also remained almost completely ignored. Or they were violently criti­qued, as with for example our historical essay on the “other workers’ movement”4, written very rapidly and with too global an approach to the subject. Unfortunately, the conceptual approaches from the first phase of our Operaist discourse were absent from this essay – because our prime concern was the subversive continuity of the cycle of struggles of the multinational mass worker which had just been crushed. Because of this, even today they ignore to what extent certain of our arguments were close to those of the section of Potere Operaio in Porto Marghera. We also considered the refusal of work to be absolutely central, and for two reasons. First of all because all work activity, if it creates value, rebels at the same time, as living labour and non-value, against its valorisation. Secondly, because the growing "scientificness” of the productive and reproductive process always reduces the quantity of necessary labour, thus creating the preliminary material conditions necessary for the elimination of work from social life. What remains from the history of workers’ autonomy in Porto Marghera? I’ve thought a lot about this question while preparing this presentation, and I consider that this experience represented an extraordinary moment of revolutionary prologue between 1967 and 1973. Because the ex­perience of the Committee and the Autonomous Assembly conserves a very particular relevance for today. Their decisive objective — the revolutionary transition towards the abolition of work — has not been achieved. In a certain sense, the following generations had to start again from zero. But they can refer to the collective memory accessible in these archives5. I became aware of how important it is to take up inquiry again when I visited, a few months ago and in the presence of the former internals — today they draw their pensions and have therefore also become externals —, this same metalworking factory where we intervened thirty five years before. It was unrecognisable. The stress-causing control panels at the head-ends of the rolling-lines had disappeared, along with the last and life threatening places for manual intervention in the productive flow, from the steel foundries to the presses. Total automation has been achieved. Small groups of workers watch over production with the help of complete systems of sensors from inside computer rooms isolated from the noise and polluted air. These are the highly skilled, multilingual — here second generation immigrant — workers, and it is on the basis of a new technique of analysing the productive process, Total Productive Management, that the production teams are merged with the maintenance and repair teams. Also, is it not even more the case today that the worker-technicians, who drive the production cycle in relation with the workshop engineers and the computer specialists, could just as easily stop it or self-manage it? But this latter possibility has been systematically eradicated thanks to the same technological operation by which the labour of the workers has been revalorised as we’ve never seen before. They work in the framework of a global information network inside the Mittal-Arcelor company, which continually compares the results of their work, the costs, the damages and the recurring incidents with the corresponding data relating to the other establishments on the same or on other continents. This competition even within the same company compels the workers to not only supply their labour power in such a way that it creates value, but increasingly to hand over their subjectivity, their vital being as non-value, to the objectives of the company. This also appropriates their creative capacity, their imagination and their informal structures of self-organisation by means of regular group meetings in order to use them for the permanent optimisation of the production process. On the posters you can read “I am Arcelor”. In the recruiting and consultation rooms of the various workshops, where their position in the global productive battle is constantly displayed, TV screens continually show publicity videos in which directors of the company and members of the Betriebsrat talk about the new community of the company. This is how the hell of progress presents itself today. The discussion led to a strong controversy between the workers from days gone by and those of today. It is still too soon for the question of rupture or of a new stage of conricerca. But the workers’ autonomy of Porto Marghera will always be there where, in the future, research is done on the history of workers’ struggles in the chemical industry. Also on the — external — terrain of workers’ science we will have difficulty in considering it as having passed. Toni Negri gave the reasons for it at the October meeting. This is why I will restrict myself to pointing out a few comparative aspects in which the history of workers’ autonomy in Porto Marghera must be integrated. The “cathedrals”6 of high pressure synthesis which appeared at the beginning of the twentieth century and then developed ceaselessly, have always expressed in various ways the destructive power of capitalism. They have ruined the health of generations of workers and have killed a good many of them. They express the techniques of production developed in the framework of research into high explosives and weapons of mass destruction. This fundamental and doubly destructive characteristic has provoked rebellions from the start and revolts among the workers. The reply from capital and the state has always been, comparatively, violent. A comparative historiography must focus on this fundamental characteristic. It must follow the arc from Ammoniakwerk Merseburg (Leunawerke) in the centre of Germany — an important centre of workers’ revolts in 1918-22 — all the way to Porto Marghera. For all that, we mustn’t ignore the catastrophes of Oppau, Seveso and Bhopal7. And it should also take a look at the IG Farben plant at Auschwitz-Monowitz, where the process of annihilation took on a further dimension: the direct destruction of enslaved work machines. In Monowitz plastic polymer materials were supposed to be produced on the basis of hydrogenating coal, as soon as the demand of the Nazi Wehrmacht for synthetic fuels, synthetic rubber and poison gas had been satisfied. Augusto Finzi managed to escape the Shoah when it was extended to the regions of Northern Italy occupied by Germany by fleeing to a temporary camp in Switzerland. Primo Levi was deported to Auschwitz-Monowitz as a Resistance fighter, because his captors failed to notice that he had Jewish parents. The slave labourer Levi began a workers’ inquiry to find an answer to the question: “Why has this factory of destruction been constructed?” This preoccupied him after he was freed and for his whole life. He didn’t find the answer. A comparative history of the working class in the chemical industry and the struggles against annihilation by work must take up the thread of this investigation. 1. This network consisted of the groups Arbeitersache, Munich; Arbeiter­kampf, Cologne; Revolutionärer Kampf, Frankfurt; Lotta Continua, Frankfurt; Proletarische Front, Hamburg, Bremen and Bochum; Rote Fahne, Saarbrücken; Klassenkampf, Zurich; Marxistische Gruppe, Erlangen. It published a monthly journal from 1973 to 1975 in German, Italian and Greek. 2. The author is referring to the conference in October 2007 “The 1970s. The suspended years”, organised by the Comitato Archivio operaio Augusto-Finzi and the Venice municipality. 3. The KPD (Opposition), or KPO, was founded by two former leaders of the KPD (Communist Party of Germany) at the end of 1928, after they were expelled from the KPD for criticising corruption within the party. The Arbeiterpolitik group carried on its work in West Germany after 1949. 4. 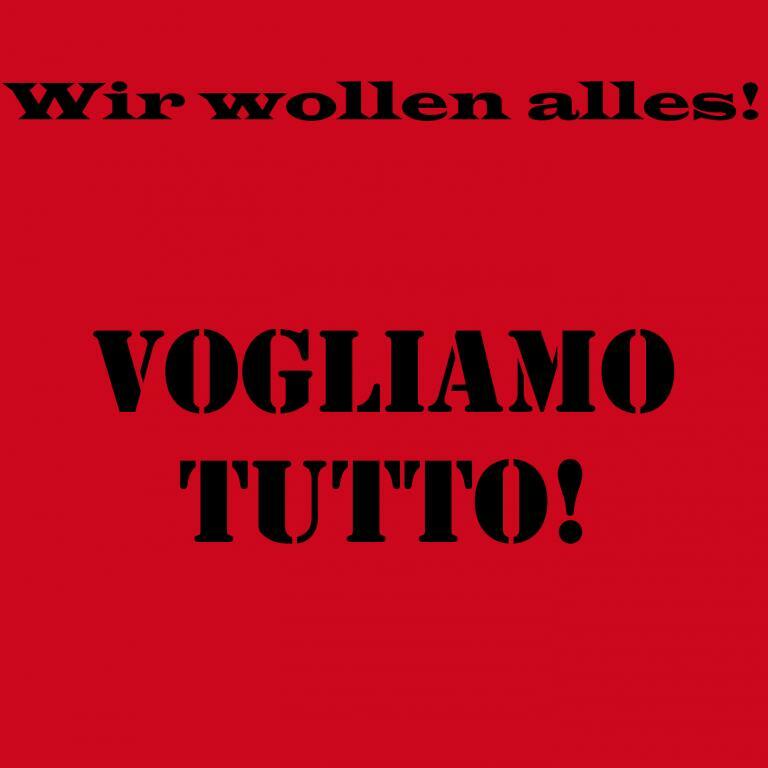 See: Karl Heinz Roth, L'Altro movimento operaio. Storia della repres­sione capitalistica in Germania dal 1880 a oggi, Feltrinelli, Milano, 1976 (“The other workers movement. A history of capitalist repression in Germany from 1880 to the present day”). There is an abridged version in French, only covering the period 1945-1978, which appeared in 1979, published by Christian Bourgois. There is no English edition. 5. The author is referring to the Archivio operaio Augusto-Finzi, in the municipal library of Marghera. 6. This expression designates the big chemical plants using high pressure in their manufacturing processes. 7. “Catastrophes” which respectively took place in September 1921,at BASF killing 561 people and destroying the town; in July 1976, at ICMESA killing 193 people and 3,300 animals and in December 1984, at Union Carbide killing between 3,500 and 12,000 people. All the footnotes are buggered - can't see why! Libcommers, please fix this. I've started reading this and am almost thru.. Thanks for the posting. As I'm used to these sorts of translations, I can navigate what's being said. But I think folks who are not accustomed to these sorts of translations may have a harder time. This is worth a read, even where some of the translations are difficult to navigate.